THIS SOFTWARE IS LICENSED, NOT SOLD. Sega Corporation and its affiliated companies (collectively, "SEGA" or "We") reserves all rights not expressly granted to you. The product that is subject to this license is referred to in this license as the "Game Software." If you have any questions about this agreement, you can reach SEGA at SEGA of America, Inc. 250 East Olive Avenue, Suite 200 Burbank, CA 91502. Legal Department. This is a legal agreement between you and SEGA. Please review this End User License Agreement ("Agreement") carefully before installing, accessing or utilizing the game you have just purchased ("GAME SOFTWARE") and please inquire about anything you do not understand. If you are not eighteen (18) years of age, have your parents review this Agreement. By installing, copying and/or otherwise using the Game Software you are signifying your acknowledgement, acceptance and agreement to this Agreement. The Game Software is offered subject to your compliance with all of the terms and conditions contained herein and all other operating rules, policies and procedures. In addition, some applications offered through or in connection with the Game Software may be subject to additional terms and conditions promulgated by SEGA from time to time. Any material modifications to the Agreement will also be brought to your attention by posting onWWW.SEGA.COM/LEGAL. Such material modifications will be effective immediately, and will apply to disputes arising under the Agreement from the date of posting forward. Your continued use of the Game Software after a modification has been made to the Agreement constitutes your acceptance of such modification. Subject to your compliance with the terms and conditions of the Agreement, SEGA hereby grants you a non-exclusive, non-transferable, limited right and license to install and use one (1) copy of the Game Software solely and exclusively for your personal and non-commercial use. This Agreement shall also apply to any patches or updates you may obtain for the Software. IN ACCORDANCE WITH AND NOT INTENDING TO LIMIT ANY OF THE PROVISIONS OR PROTECTIONS SET FORTH HEREIN, DUPLICATION, COPYING OR ANY FORM OF REPRODUCTION OF THE GAME SOFTWARE OR RELATED INFORMATION, MATERIALS OR OTHER CONTENT TO ANY OTHER SERVER OR LOCATION FOR THE PURPOSES OF DUPLICATION, COPYING OR ANY OTHER FORM OF REPRODUCTION IS EXPRESSLY AND EXPLICITLY PROHIBITED. This license does not give you any title or ownership in the Game Software, and should not be construed as a sale or transfer of any intellectual property rights to the Game Software. All rights not specifically granted under this Agreement are hereby reserved by Sega and, as applicable, by its licensors. YOU ACKNOWLEDGE AND AGREE THAT YOU SHALL HAVE NO OWNERSHIP OR OTHER PROPERTY INTEREST IN THE GAME SOFTWARE, AND YOU FURTHER ACKNOWLEDGE AND AGREE THAT ALL SUCH RIGHTS ARE AND SHALL FOREVER BE OWNED BY AND INURE TO THE BENEFIT OF SEGA. Except as expressly licensed to you herein, all right, title, and interest in and to the Game Software and any and all associated copyrights, trademarks and intellectual properties therein and/or related thereto and all copies thereof (including, but not limited to, any patches, updates, copies, derivative works, titles, computer code, themes, objects, characters, character names, stories, dialogs, catch phrases, locations, concepts, artwork, images, animation, sounds, musical compositions, audio-visual effects, text, methods of operation, moral rights, "applets" incorporated into the Game Software, and any related documentation) are owned by SEGA or SEGA's licensors. The Game Software is protected by the copyright laws of the United States, international copyright treaties and conventions, and other laws. All rights are reserved. The Game Software contains certain licensed materials, and Sega and Sega's licensors may protect their rights in the event of any violation of this Agreement. SEGA does not recognize the transfer of the Game Software. Therefore, you may not give, purchase, sell, bargain, barter, market, trade, offer for sale, sell, license, assign or otherwise divest your rights, responsibilities or obligations under the Agreement, either in whole or in part, without the prior written consent of SEGA. Any attempt to do so shall be void and of no effect. (v) are then commercially exploited by you (through pay-per-play or timesharing services or otherwise). For the avoidance of doubt you are solely liable and responsible for any claims by a third party resulting from your use of the Editor. Furthermore, you agree that you shall abide by the safety information, maintenance instructions or other relevant notices contained in the manual or other documentation accompanying the Game Software. TO THE FULLEST EXTENT PERMISSIBLE UNDER APPLICABLE LAW, YOU EXPRESSLY AGREE THAT THE USE OF THE GAME SOFTWARE IS AT YOUR SOLE RISK AND THAT THE ENTIRE RISK AS TO SATISFACTORY QUALITY, PERFORMANCE, ACCURACY AND EFFORT IS WITH YOU. TO THE MAXIMUM EXTENT PERMITTED BY APPLICABLE LAW, ALL MATERIALS AND GAME SOFTWARE ARE PROVIDED ON AN "AS IS" AND "AS AVAILABLE" BASIS WITH ALL FAULTS AND WITHOUT WARRANTY OF ANY KIND, AND SEGA HEREBY DISCLAIMS ALL WARRANTIES AND CONDITIONS WITH RESPECT TO THE GAME SOFTWARE, EITHER EXPRESS OR IMPLIED, INCLUDING, BUT NOT LIMITED TO, THE IMPLIED WARRANTIES OF MERCHANTABILITY, OF SATISFACTORY QUALITY, OF FITNESS FOR A PARTICULAR PURPOSE, OF ACCURACY, OF QUIET ENJOYMENT, AND NON-INFRINGEMENT OF THIRD PARTY RIGHTS. WITHOUT LIMITING THE FOREGOING, WE MAKE NO WARRANTY THAT (A) THE GAME SOFTWARE WILL MEET YOUR REQUIREMENTS, (B) THE GAME SOFTWARE WILL BE UNINTERRUPTED, TIMELY, SECURE, OR ERROR-FREE, (C) THE GAME SOFTWARE WILL BE INTERAOPERABLE OR COMPATABILE WITH OTHER SOFTWARE, OR (D) THE RESULTS THAT MAY BE OBTAINED FROM THE USE OF THE GAME SOFTWARE WILL BE EFFECTIVE, ACCURATE OR RELIABLE. NO ORAL OR WRITTEN INFORMATION OR ADVICE GIVEN BY SEGA OR ITS AUTHORIZED REPRESENTATIVE(S) SHALL CREATE A WARRANTY. AT SOME POINT IN THE FUTURE THE GAME SOFTWARE MAY GO OUT OF DATE, AND SEGA MAKES NO COMMITMENT TO UPDATE SUCH GAME SOFTWARE. THE DISCLAIMERS OF LIABILITY CONTAINED IN THIS SECTION APPLY TO ANY DAMAGES OR INJURY CAUSED BY ANY FAILURE OF PERFORMANCE, ERROR, OMISSION, INTERRUPTION, DELETION, DEFECT, DELAY IN OPERATION OR TRANSMISSION, COMPUTER VIRUS, COMMUNICATION LINE FAILURE, THEFT OR DESTRUCTION OR UNAUTHORIZED ACCESS TO, ALTERATION OF, OR USE OF THE GAME SOFTWARE, WHETHER FOR BREACH OF CONTRACT, TORTIOUS BEHAVIOR, NEGLIGENCE, OR UNDER ANY OTHER CAUSE OF ACTION. THE USE OF THE GAME SOFTWARE OR THE DOWNLOADING OR OTHER ACQUISITION OF ANY MATERIALS THROUGH OR IN CONNECTION WITH THE GAME SOFTWARE IS DONE AT YOUR OWN DISCRETION AND RISK AND WITH YOUR AGREEMENT THAT YOU WILL BE SOLELY RESPONSIBLE FOR ANY DAMAGE TO YOUR COMPUTER SYSTEM OR LOSS OF DATA THAT RESULTS FROM SUCH ACTIVITIES. SEGA MAKES NO REPRESENTATIONS ABOUT THE SUITABILITY OF THE INFORMATION CONTAINED IN THE GAME SOFTWARE, INFORMATION AND/OR RELATED GRAPHICS PUBLISHED AS PART OF THE GAME SOFTWARE FOR ANY PURPOSE. THE GAME SOFTWARE, INFORMATION AND RELATED GRAPHICS PUBLISHED AS PART OF THE GAME SOFTWARE MAY INCLUDE TECHNICAL INACCURACIES OR TYPOGRAPHICAL ERRORS. You understand and agree that temporary interruptions of the Game Software may occur as normal events. You further understand and agree that we have no control over third party networks you may access in the course of the use of the Game Software, and therefore, delays and disruption of other network transmissions are completely beyond SEGA's control. YOU ACKNOWLEDGE AND AGREE THAT YOUR EXCLUSIVE REMEDY FOR ANY DISPUTE WITH SEGA IS TO STOP USING THE GAME SOFTWARE. IN NO CASE SHALL ANY LIABILITY OF SEGA TO YOU EXCEED THE AMOUNT THAT YOU PAID TO SEGA OR ITS AFFILIATES AND/OR DESIGNEES FOR THE APPLICABLE GAME SOFTWARE GIVING RISE TO ANY SUCH LIABILITY. IN NO EVENT SHALL SEGA OR ITS AFFILIATES BE LIABLE TO YOU OR ANY THIRD PARTY FOR ANY SPECIAL, PUNITIVE, INCIDENTAL, INDIRECT OR CONSEQUENTIAL DAMAGES OF ANY KIND, OR ANY DAMAGES WHATSOEVER, INCLUDING, WITHOUT LIMITATION, THOSE RESULTING FROM LOSS OF USE, DATA OR PROFITS, WHETHER OR NOT WE HAVE BEEN ADVISED OF THE POSSIBILITY OF SUCH DAMAGES, AND ON ANY THEORY OF LIABILITY, ARISING OUT OF OR IN CONNECTION WITH THE USE OF THE GAME SOFTWARE, INCLUDING DAMAGES TO PROPERTY, LOSS OF GOODWILL, COMPUTER FAILURE OR MALFUNCTION AND, TO THE EXTENT PERMITTED BY LAW, DAMAGES FOR PERSONAL INJURIES, EVEN IF SEGA HAS BEEN ADVISED OF THE POSSIBILITY OF SUCH DAMAGES. BECAUSE SOME STATES OR JURISDICTIONS DO NOT ALLOW THE EXCLUSION OR THE LIMITATION OF LIABILITY FOR CONSEQUENTIAL OR INCIDENTAL DAMAGES, IN SUCH STATES OR JURISDICTIONS, THE LIABILITY OF SEGA AND THE SEGA PARTIES SHALL BE LIMITED TO THE FULLEST EXTENT PERMITTED BY LAW. Residents of California are entitled to the following specific consumer rights information: you may contact the Complaint Assistance Unit of the Division of Consumer Software of the Department of Consumer Affairs by mail at 400 R St., Suite 1080, Sacramento, California, 95814, or by telephone at 916.445.1254. California residents expressly agree to waive California Civil Code Sec. 1542, which states: "A general release does not extend to claims which the creditor does not know or suspect to exist in his favor at the time of executing the release, which if known by him must have materially affected his settlement with the debtor." Upon a request by SEGA, you agree to defend, indemnify, and hold SEGA and its affiliates harmless from all liabilities, claims, losses, costs and expenses, including attorney's fees, that arise from (a) your use of, or activities in connection with the Game Software; (b) any violation of the Agreement by you; or (c) any allegation that any content that you make available via the Game Software infringes or otherwise violates the copyright, trademark, trade secret, privacy or other intellectual property or other rights of any third party. SEGA reserves the right, at its own expense, to assume the exclusive defense and control of any matter otherwise subject to indemnification by you, in which event you will cooperate with SEGA in asserting any available defenses. SEGA may make email, messaging, blogging, or chat (collectively, "Communication Software") available through the Game Software, either directly or through a third-party provider. SEGA is not responsible for communications made by other users via the Communication Software. We are not responsible for communications made by you via the Communication Software. You acknowledge and agree that your communications made via the Communication Software are public and not private communications and that you have no expectation of privacy concerning your use of the Communication Software. You acknowledge and agree that personal information that you communicate via the Communication Software may be seen and used by others and may result in widespread distribution of such information. We strongly encourage you not to disclose any personal information in your public communications via the Communication Software unless you wish such information to be made permanently available to the public. 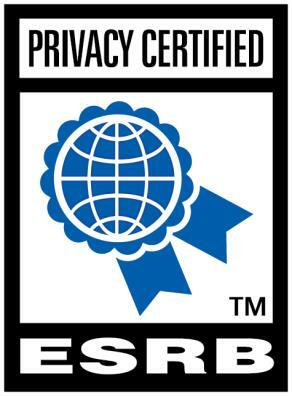 Although the Game Software may be accessible worldwide, we make no representation that the Game Software or related materials are appropriate or available for use in locations outside the United States, and accessing them from territories where the content is illegal is prohibited. Those who choose to access the Game Software from other locations do so on their own initiative and are responsible for compliance with local laws, if and to the extent local laws are applicable. Any offer and/or information made in connection with the Game Software is void where prohibited. Without limiting the foregoing, the Game Software may not be exported or re-exported (a) into (or to a national resident of) any U.S. embargoed countries or (b) to anyone on the U.S. Treasury Department's list of Specially Designated Nationals or the U.S. Department of Commerce Denied Person's List or Entity List. By accessing and using the Game Software, you represent and warrant that you are not located in, under control of, or a national resident of any such country or on any such list. The Agreement set forth herein continue to remain in full force and effect until such time as terminated by either party. You agree and acknowledge that you are not entitled to any refund for any amounts which were paid to SEGA prior to any termination. You retain full discretion to end or terminate your account, if applicable, and discontinue use of the Game Software at any time, pursuant to the terms of this Agreement. Without prejudice to any other rights of SEGA, this Agreement shall terminate automatically if you fail to comply with its terms and conditions. Upon termination, you must destroy all copies of the Game Software. The provisions of Sections 3, 4, 6, 7, 8, 10, 11 and 12 shall survive any termination of this Agreement. This Agreement represents the complete agreement between you and SEGA concerning the Game Software and supersedes all prior agreements and representations, warranties or understandings between you and SEGA (whether negligently or innocently made but excluding those made fraudulently), regarding the same subject matter. SEGA reserves the right to amend this Agreement at any time, at its sole discretion. If any part of the Agreement is determined to be invalid or unenforceable pursuant to applicable law including, but not limited to, the warranty disclaimers and liability limitations set forth above, then the invalid or unenforceable provision will be deemed superseded by a valid, enforceable provision that most closely matches the intent of the original provision and the remainder of the Agreement shall continue in effect. Any failure by us to enforce or exercise any provision of the Agreement or related rights shall not constitute a waiver of that right or provision. SEGA may assign this Agreement, in whole or in part, at any time. Notwithstanding, you may not assign, transfer or sublicense any or all of your rights or obligations under the Agreement without SEGA's express prior written consent. SEGA's performance of the Agreement is subject to existing laws and legal process, and nothing contained in the Agreement is in derogation of SEGA's right to comply with governmental, court, and law enforcement requests or requirements relating to your use of the Game Software or information provided to or gathered by SEGA with respect to such use. In addition to any excuse provided by applicable law, we shall be excused from liability for non-delivery or delay in delivery of the Game Software arising from any event beyond our reasonable control, whether or not foreseeable by either party, including but not limited to, labor disturbance, war, terrorism, fire, denial of service attack, internet outages, accident, adverse weather, inability to secure transportation, governmental act or regulation, and other causes or events beyond our reasonable control, whether or not similar to those which are enumerated above. The parties agree that all correspondence relating to this Agreement shall be written in the English language. This Agreement shall be construed under California law as such law is applied to agreements between California residents entered into and to be performed within California, except as governed by federal law, and you consent to the exclusive jurisdiction of the state and federal courts in San Francisco, California. I HEREBY ACKNOWLEDGE THAT I HAVE READ AND UNDERSTAND THE FOREGOING END USER LICENSE AGREEMENT AND AGREE THAT MY USE OF THE GAME SOFTWARE IS AN ACKNOWLEDGMENT OF MY AGREEMENT TO BE BOUND BY THE END USER LICENSE AGREEMENT.